Afresco – taking place or located in the open air : outdoor, outdoors. Alfresco is another new trend in todays newer and remodeled homes that make your back, side, and front yards a much more habitable environment and encourage outdoor gatherings. 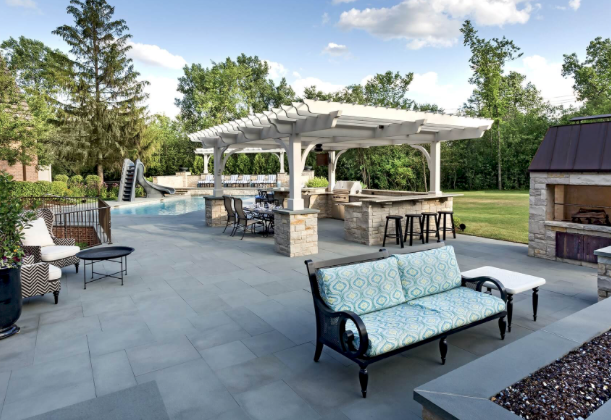 From inviting patio furniture to fire pits, fire places, water features and bar areas, the idea is the same, to create a outdoor living area for friends and members of the household to gather and be social. Zieba Builders have extensive experience in design and installation of Alfresco Living Areas in homes of all sizes and layouts. Please contact us today to see how we can transform your outdoor space into a great area to gather and socialize.